Good news, there are now available promo fare tickets for booking for both domestic and international destinations of Cebu Pacific. 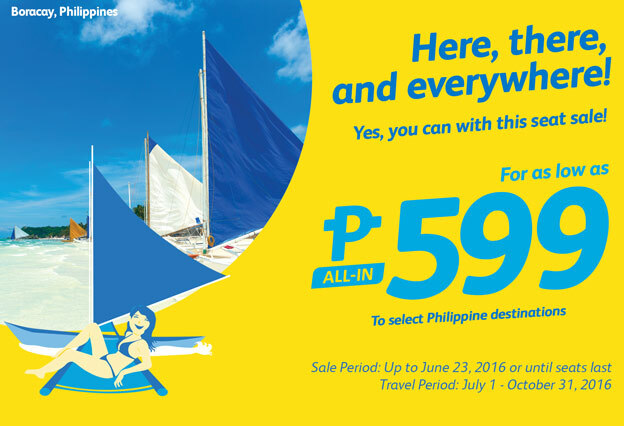 Here is an all new Cebu Pacific Promo Fare for the months of July,August,September and October 2016 for select domestic and international destinations. Other destinations have travel period starting as early as the month of June.